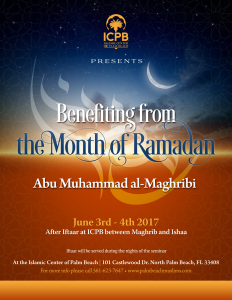 This media player broadcasts the most recent (or live) audios from the Islamic Center of Palm Beach. 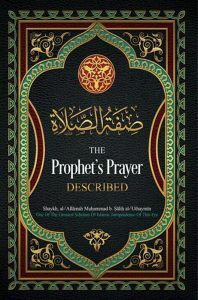 To access the full collection of ICPB recordings, please visit our Spreaker page at www.spreaker.com/icpb. 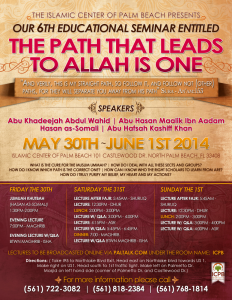 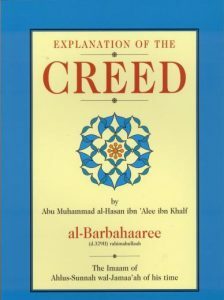 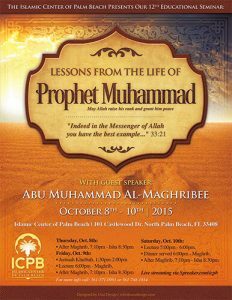 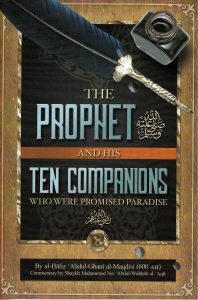 Audio from ICPB's 6th Educational Seminar: "The Path that Leads to Allah is One". 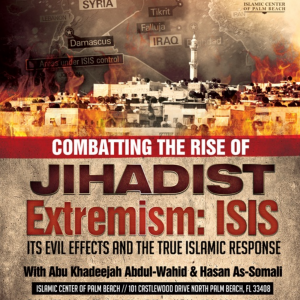 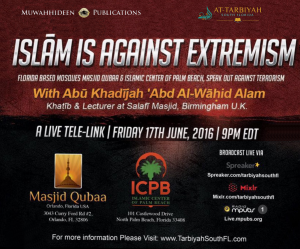 With guest speakers Abu Khadeejah Abdul-Waahid (Salafi Publications, UK) and Abu Hafsah Kashiff Khan. 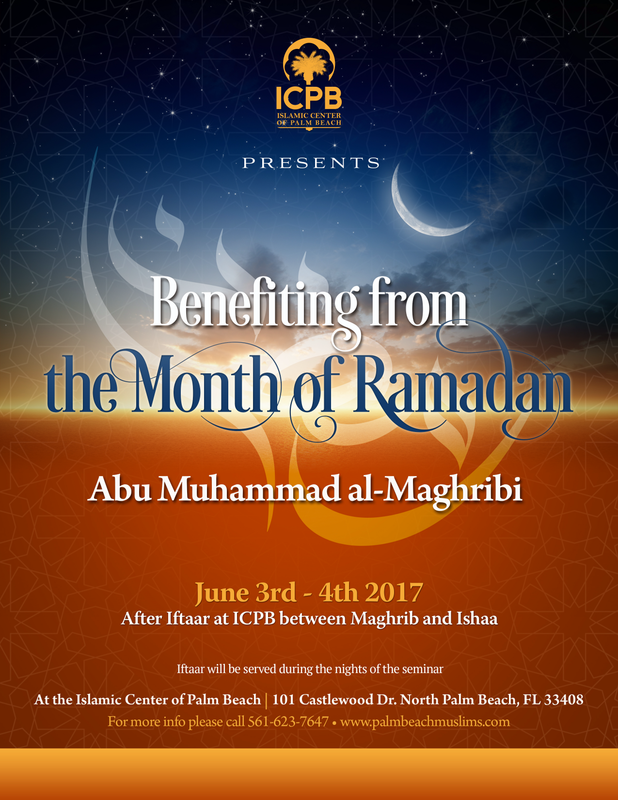 Recorded May 30th - June 1st 2014.